Cable cabinet post K10 is made of solid aluminium profile. 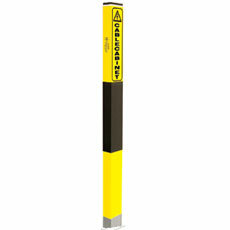 The post has 3 yellow/black fields as safety warning. 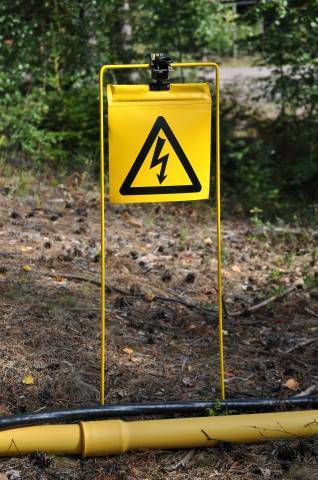 The post also features a broad yellow reflector tape on all sides and two reflecting signs marked "Cable cabinet". 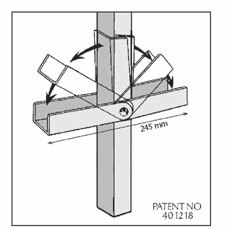 The post comes with two M10x45 mm socket head cap screws for fastening and fits many types of cable cabinets. See the movie about our Cable cabinet post. 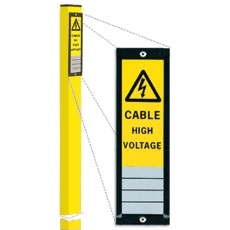 Cable marking post H11 in aluminium with lock anchorage. This aluminium sign is combined with a marking plate for engraving internal codes etc. 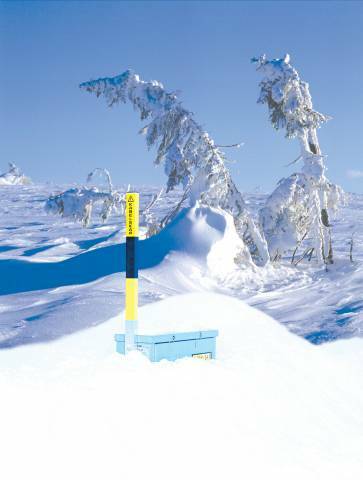 See the movie about our Cable marking post. Length: 1250 mm, 1665 mm or 2500 mm. Length: 1250 mm or 1665 mm or 2500 mm.